So no white after Labor Day… that rule is lame and outdated. You can wear white jeans whenever your little heart desires, whether it’s a warm summer day, or a 20 degree snowstorm. 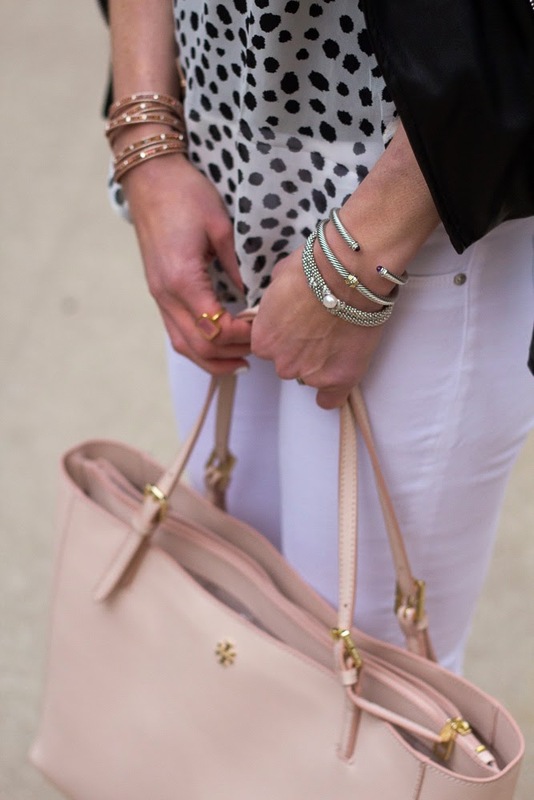 White jeans are a wardrobe staple that everyone should own. Today I wanted to share a couple different styles and fits of white jeans and how to style your them straight from the colder months right into spring! 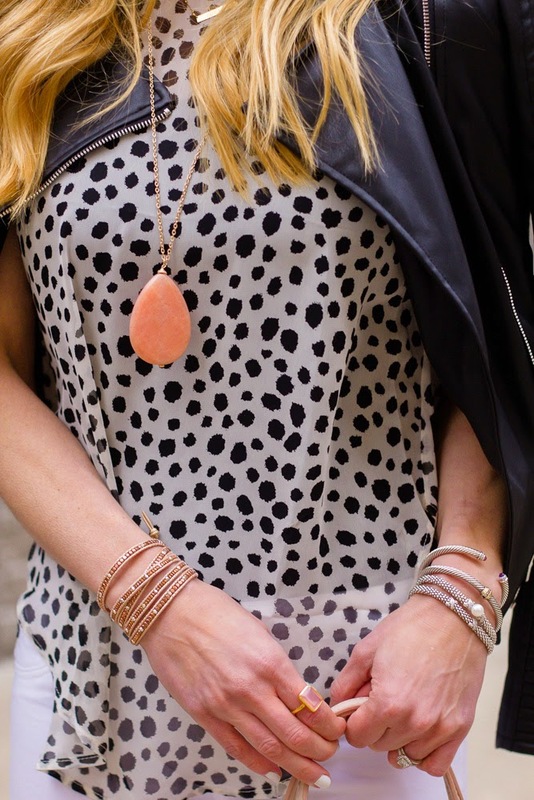 The first look, I paired this darling polka dot top (under $40) with a pair of white skinny crop jeans that fit like a glove-best fitting white jeans I own. That day was chilly so I paired it with my go-to leather jacket. I added a couple pops of color with this tear drop necklace (only $30), wrap bracelet and ring. The second look, the white jeans had a relaxed fit with more of a distressed look… which I never met a pair of distressed jeans I did not like. I paired with the softest fringe poncho (which I wore just this past weekend as a scarf) and paired it with this pretty beaded statement necklace. 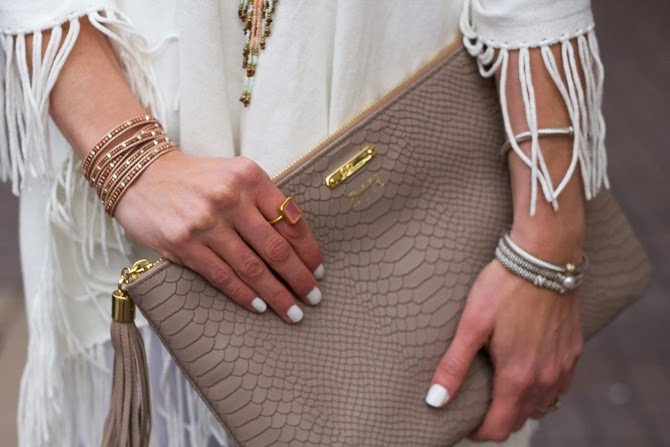 And great news, my friends over at Alixandra Collections are offering 15% off to Cella Jane readers with code: shopalix15cj (Free shipping on orders over $50) Happy shopping! A big thanks to Alixandra Collections for sponsoring this post, all styling and opinions are my own.